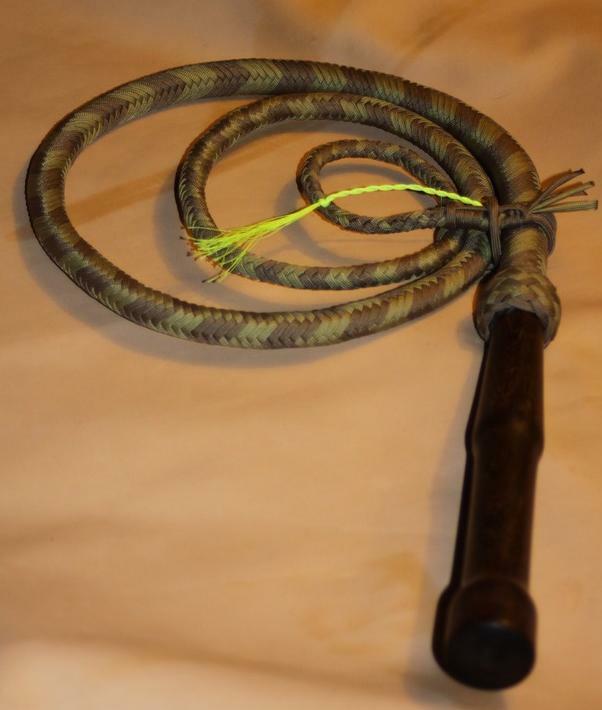 This is a 12 plait synthetic bull whip constructed with a leather shot bag core, leather bolster and single plaited synthetic belly, with a 12 inch handle (10 inches of exposed wood and a 2 inch metal pin). 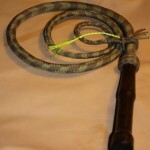 The whip is finished with a turks head knot between the handle and the plaited thong. 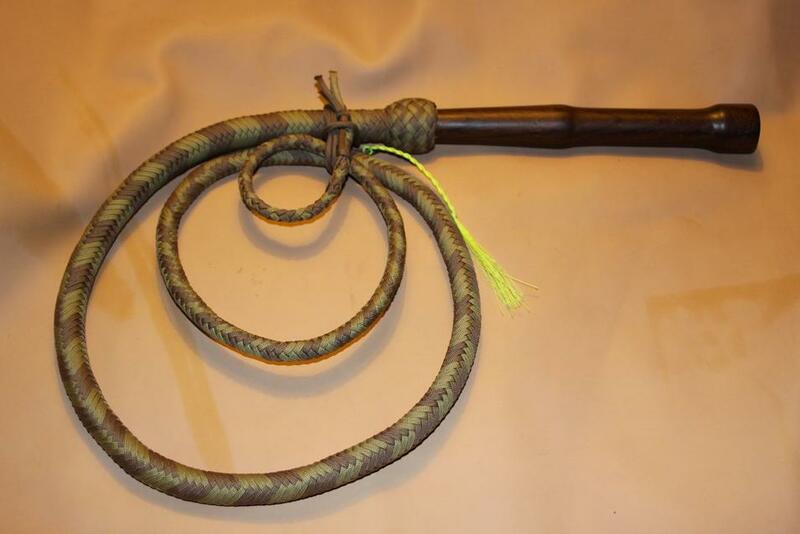 Please note – as with all of our whips, the length refers to the plaited part only. Be the first to review “‘Woody’ Bull Whips (12 Plait)” Click here to cancel reply.